Four years ago, considering such a question, the Serbian Orthodox faithful of North Canton, Ohio, began offering a community-oriented festival so that their neighbors might have a chance to know them - to experience the faith, culture and hospitality of the parish community. 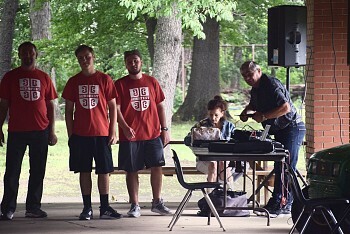 The first “SerbFest” was held, not primarily as a fundraiser for the church, but as an opportunity to share a bit of ‘who they are’ with their neighbors and friends. To that end, they allocate resources to advertise throughout the county; they always offer guided church tours; they budget a good amount of money for children’s activities; and they greet everyone with Christian love and warmth. It is safe to say that their fourth-annual 2018 SerbFest was the most successful to-date. Musical performances took place both inside and outside, with dancers from St. Archangel Michael’s “Gracanica” middler group performing in the evening, along with a group of women singing traditional Serbian songs. Children had carnival games, bouncy houses, and pony rides all afternoon and into the evening. Food was plentiful, with lamb, pork, sarma, and other traditional dishes served throughout the day. The Serbian Marketplace was bustling with activity as vendors sold everything from clothing, to religious goods, to chocolates. The church had a steady stream of visitors that learned a bit about Orthodox history, art and architecture. 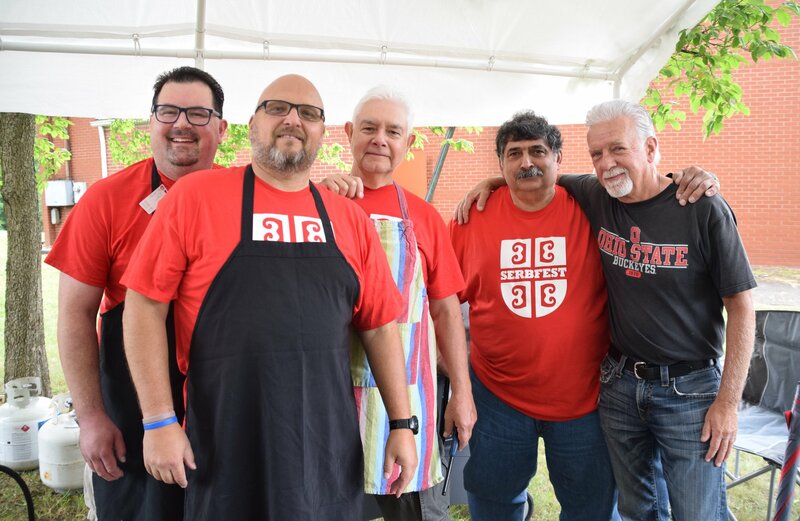 For twelve hours, the community of St. George Serbian Orthodox Church hosted, fed, and entertained hundreds upon hundreds of people. The volunteers were tireless in their efforts, and joyous in the completion of their work. God truly blessed this effort as weather reports predicted rain throughout the day, and in areas immediately to the south of the parish those reports proved true. In North Canton, however, the weather held constant at the upper-70s with a slight breeze - a perfect day! The fruits of the community’s labors were evident in the glowing faces of happy children; the people dancing at the picnic pavillion; and the guests consuming just about every prepared food item. In addition, the following day a number of people from the community who attended the festival joined the parish in the celebration of the Divine Liturgy. Encouraged by the hospitality and warmth of the St. George faithful, and interested by the beauty of the church and the tour, they came at the start of services to see what Orthodox worship was all about. It was a day of hard, tiring work - but a day of great joy and success as well.